Are you wrists crowded with all kinds of fitness bands, smart watches, and beer-garden bracelets? 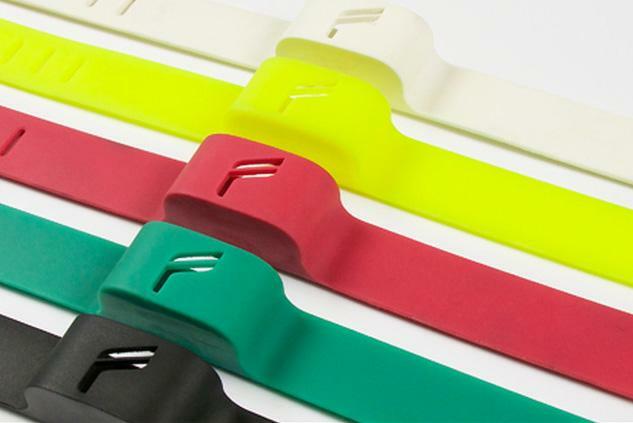 Check out Flyfit: a new activity tracker that ditches the wrist and lives on your ankle instead. It’s actually somewhat puzzling that something like this wasn’t created sooner. When you consider the fact that most of the latest wearable tech devices are fitness trackers, and also that some of the most popular workout activities involve your legs (running, cycling, swimming, etc), it’s a wonder that our ankles still remain relatively unoccupied. For one reason or another, wearable tech manufacturers have stuck to the wrist. But Flyfit is different. Dissatisfied with the performance of wrist-borne fitness trackers, Flyfit’s creators (Jimmy Leu and Beatrice Chu, a husband-and-wife team) designed it to measure different leg movements associated with cycling, swimming, and running; and thereby get more accurate readings. After trying several of the bestselling wristbands, Chu, an avid cyclist, got annoyed that they didn’t always accurately record her workouts. She noticed that if she gripped her handlebars too tightly, certain bands wouldn’t register any movement, so she decided to design something more reliable. Technically speaking, Flyfit isn’t all that different when compared with a FitBit or FuelBand. From what we can tell, the core technology (an accelerometer of some sort) is the same – the only real difference is how it’s programmed to recognize things like running, climbing stairs, pedaling, or kicking your legs in a pool. It can also track distance traveled via GPS, monitor your sleeping habits, and – of course – sync with your smartphone via Bluetooth LE for easy access to all your data. Flyfit launched a crowdfunding campaign on Kickstarter just a few days ago, and is well on its way to achieving it’s $90,000 goal by March 25. Back the project now and you can lock one down for about $100 bucks, and if everything goes as planned, Chu and Leu plan to ship the finished product to backers as early as August. Find out more here.